This is the final show of the Seaport Music Festival! 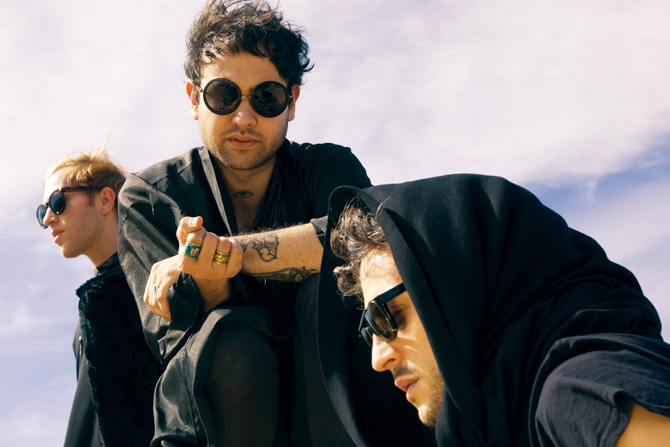 Unknown Mortal Orchestra is Ruban Nielson, bassist Jake Portrait and drummer Riley Geare. In 2012, Unknown Mortal Orchestra announced that they had signed to Jagjaguwar and were working on their second full-length album. Unknown Mortal Orchestra’s sophomore album is titled II and was released on February 5, 2013. The first single from the forthcoming album, entitled “Swim and Sleep (Like a Shark)”, was first available as a 7″ on their tour with Grizzly Bear. Unknown Mortal Orchestra has scheduled a 2013 world tour for their forthcoming album including this free show, destined to be a “do not miss” Seaport Music Festival show.